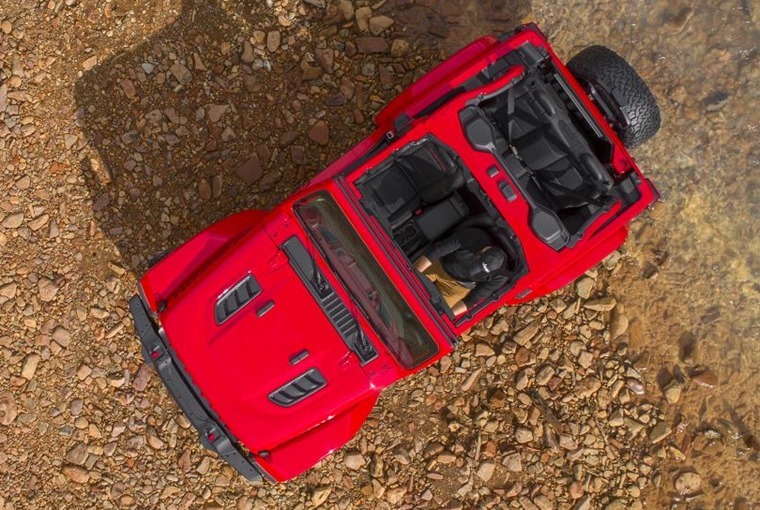 Take a look at the Jeep Wrangler and you’d be forgiven for not being able to tell that it’s an all-new design. Its roots date back 77 years to the original Willys Jeep – a design solution to the US Army’s need for a lightweight, utilitarian, four-seater vehicle suitable for war zones – and generations later it’s still flaunting its functionality over its design. But the design has become so iconic that it’s a triumph of design over function at exactly the same time. So how does the new model meet both demands? The same boxy profile has been kept, with the usual seven vertical bars dominating a grille and which was seemingly designed using nothing more than a ruler. Every bit of glass is flat - there’s no curved windscreen - which lends a tough-as-old-boots look to things. It also means any old glass maker can replace the windows in an emergency, whether you’re in Cambridge or Cuba. Of course, you could go all the way and simply fold down the windscreen frame and, while you’re at it, take the doors off. 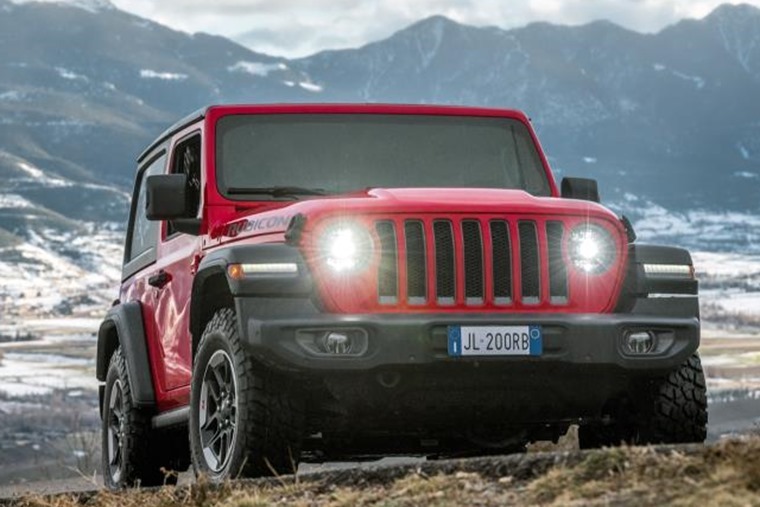 Jeep has made doing so easier, with lighter materials, integrated carry handles and, crucially, some slots in the boot to keep the nuts and bolts. There’s a 2.2-litre turbo diesel engine to get things moving, and it’s rather more rapid than you might expect. The 0-62mph dash is dealt with in just 9.6 seconds, and the 200hp on tap is enough to propel it to 99mph before the barn-door aerodynamics stop further play. It’s probably best to keep speeds low anyway, as in Rubicon specification it’s not exactly razor sharp. I doubt there’s anything as capable on the market now, at least when it comes to crossing tough terrain. That’s because of heavy duty axles, locking differentials at both ends, and a front anti-roll bar that can be disengaged to allow for maximum axle articulation, as well as huge tyres with knobbly tread that grips mud and sand ferociously. That’s fine when climbing Mount Teide, but less use when handling Huntingdon Ring Road. It actually rides quite nicely, especially at motorway speeds, but what you do with the steering wheel doesn’t really have much effect on what direction the car will choose to go. Vague is something to aspire to. It’s transformed off-road though, where the Rubicon feels unstoppable. 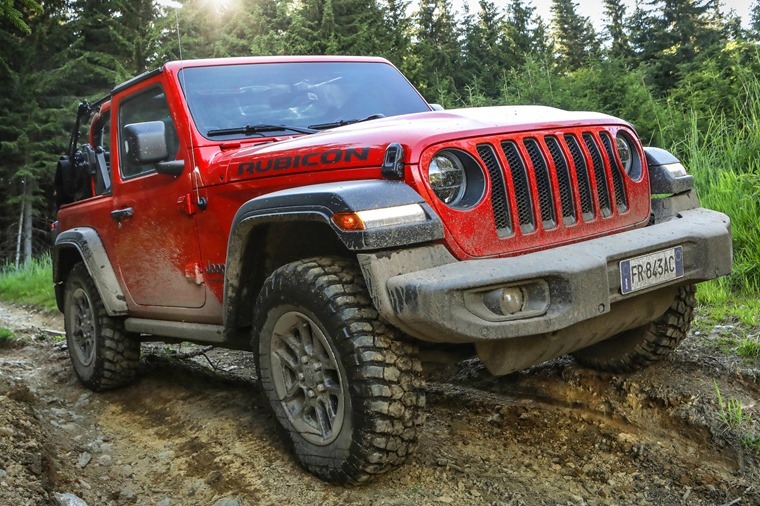 Taking to the trail in Austria at this year’s Camp Jeep extravaganza, heavy rainfall had turned the steep-sided mountain trials treacherous. Barely wider than the Wrangler, mud ruts gave way to rock crawls, all crumbling away as the wet weather hit hard, but not once did the Jeep feel out of its depth. It took what was ahead of it and simply demolished it. I doubt there’s anything as capable on the market now, at least when it comes to crossing tough terrain. 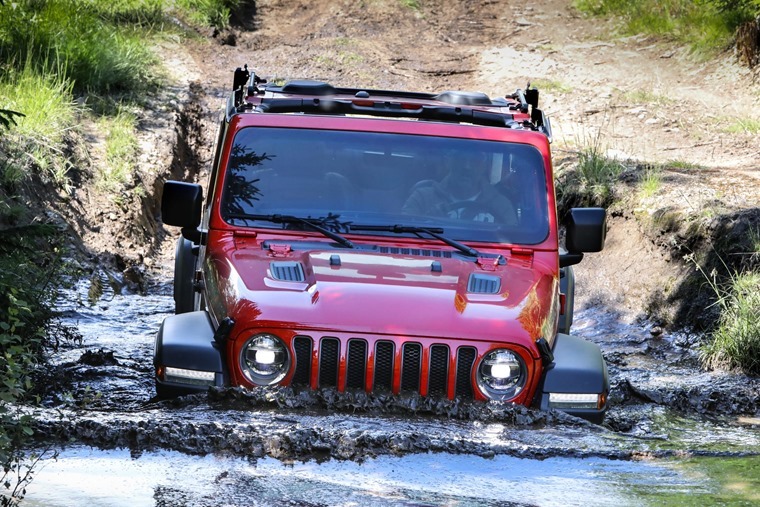 While it can rest on its laurels off-road, it relies heavily on its All-American style on road as there are few other compelling reasons to go for the Wrangler. But that’s all part of the appeal. It’s why we love Tom Cruise, why McDonald’s still has a place in our hearts, and why the Ford Mustang sells so well. We know there are countless better options, we know that what we’ve got isn’t necessarily that good, but it makes us feel good and be damned anybody who wants to stop our fun. If you want one, then nothing else will do. There’s nothing like the Wrangler on sale – the Land Rover Discovery probably gets closest, but, really? – and there’s little that will allow you to have quite so much fun. And there is nothing this side of a bicycle that will let you head off to Waitrose without doors or a windscreen. Even where it falls short of modern standards (particularly on safety), it’s not actually that bad. Yes, it bounces along the road but you’re going so slow it’s never alarming, and it’s usually quite comfortable. The interior materials are best described as durable rather than pleasant, but who doesn’t like a wipe-clean dashboard? And then there’s the rear seats which are actually, erm, no, they’re a bit rubbish. The boot is a very compact 204 litres too. If you want practicality, splash out on the longer four-door model which at least has a good go at being sensible. The two-door model is best considered as a two-seater fashion statement rather than a family motor. 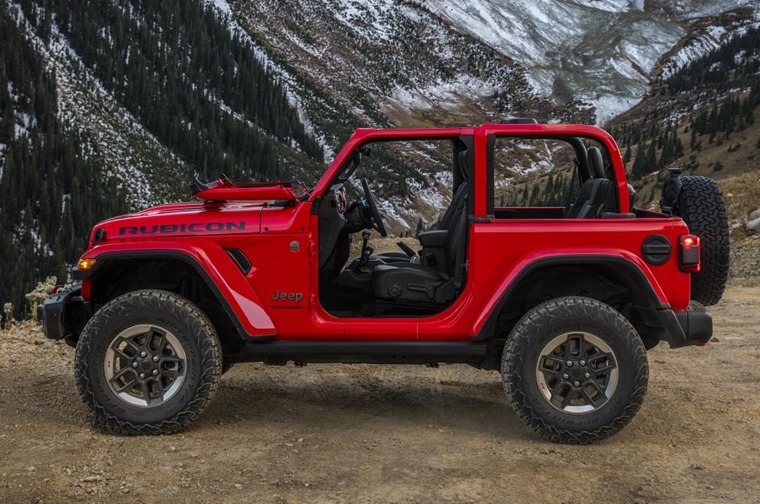 Despite the fact that you could make a list as long as your arm of reasons not to lease a Wrangler, there’s something wonderful about it that could convince you that it all makes sense. If you want one, then nothing else will do.